Where can I find the folding trailer ? You can buy the folding trailer online. We are also starting to develop a distributor network. You can contact us and discuss your investment, we will be able to point you in the right direction if you want to buy from one of our distributors if it’s a better option for you. Does the folding trailer hold a CE certification ? Yes we have been certified and comply to the 2007/46 CE directive. You can disclose the trailer VIN number to your insurer who will then be able to insure your tralier. How can I move the folding trailer once folded ? When you get to the storage spot, you lift it back up again in its vertical stable position. Why a stainless steel chassis ? Stainless steel offers many advantages amongst which durability. You trailer will never get rusty and will keep its mechanical properties for ever. Where and since when have they been sold ? They have been sold in Australia for more than 8 years and in the USA for two years. 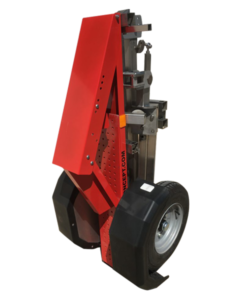 However our European version is the only one featuring a stainless steel chassis as well as a suspension and which is complying to the 2007/46 CE directive that enables us to sell it safely into Europe. We have decided to make them in France. Everything is made in house up to the assembly, packaging ready for shipping. This choice enables us to guarantee a quality product as well as all of its components which are checked during the manufacturing and assembly process to comply with a ISO 9001 like quality control.